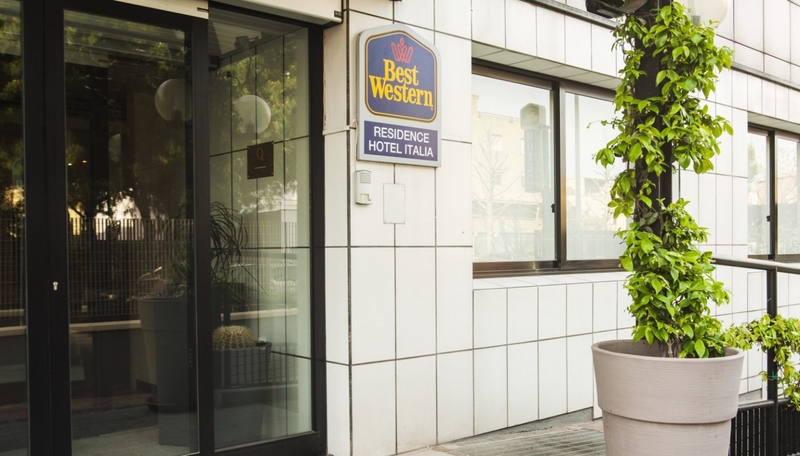 The Best Western Hotel Residence Italia in Quartu Sant'Elena is located just a few miles from the centre of Cagliari. It enjoys excellent transport links and can easily be eached by car and public transport, and also benefits from a large car park. Moreover, it is close to the renowned Poetto city beach, and to the numerous beaches of the Quartu coastline, running all the way to Villasimius. The hotel is located on the main boulevard, Viale Colombo, from which you can easily reach not only the beach (reachable in just a few minutes on foot, by car or by public transport) but also one of the most important nature reserves in all of Sardinia: the Molentargius Park, which is renowned above all for its pink flamingos. The hotel offers 83 welcoming room, complete with every imaginable comfort, making them ideal for all sets of requirements. The hotel also plays host to a number of apartments designed to meet your needs. A rich, wide-ranging breakfast will help you start the day the right way, and the professionalism of our multi-lingual staff, on hand 24/7, is sure to make you feel very welcome. Our location in relation to Cagliari, the most beautiful, evocative beaches of southern Sardinia and the airport, as well as the various special deals in place with fitness centres, beach clubs and restaurants all comine to make Best Western Hotel Residence Italia the ideal base both for business trips and holidays.